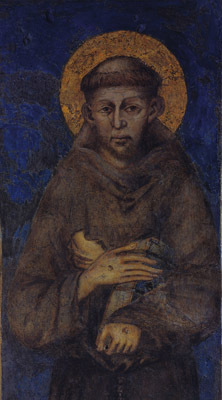 ST. FRANCIS, the son of a merchant of Assisi, was born in that city in 1182. Chosen by God to be a living manifestation to the world of Christ’s poor and suffering life on earth, he was early inspired with a high esteem and burning love of poverty and humiliation. The thought of the Man of Sorrows, Who had nowhere to lay His head, filled him with holy envy of the poor, and constrained him to renounce the wealth and worldly station which he abhorred. But divine love burned in him too mightily not to kindle like desires in other hearts. Many joined themselves to him, and were constituted by Pope Innocent III. into a religious Order, which spread rapidly throughout Christendom. After visiting the East in the vain quest of martyrdom, St. Francis spent his life like his Divine Master—now in preaching to the multitudes, now amid desert solitudes in fasting and contemplation. During one of these retreats he received on his hands, feet, and side the print of the stigmata, the five bleeding wounds of Jesus. 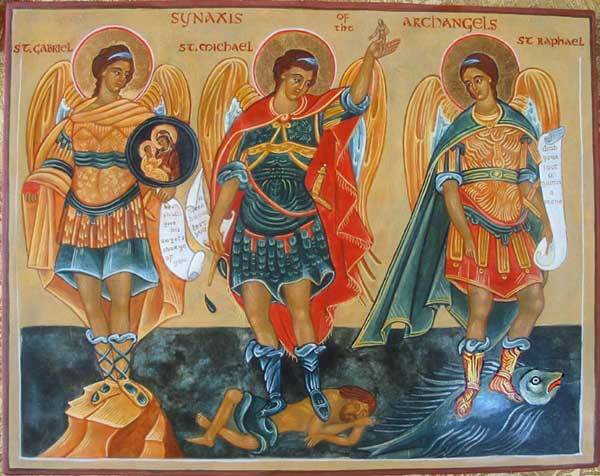 With the cry, “Welcome, sister Death,” he passed to the glory of his God October 4, 1226. Reflection.—”My God and my all,” St. Francis’ constant prayer, explains both his poverty and his wealth.